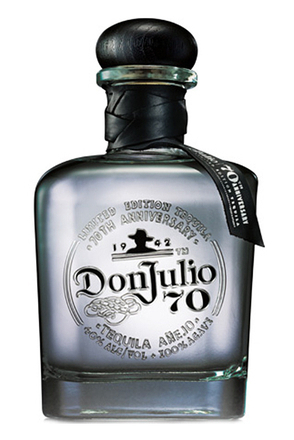 Don Julio tequila comes from the Highlands – Los Altos region, famous for its iron and copper rich red soil. Many tequila aficionados attribute the apparent sweetness of Highland tequilas to the high altitude of some 2,000 feet above sea level and the thinness of the air stressing the agave so making the plant produce more fermentable sugars as it strives to build reserves of energy. When cultivating new plants by removing the offshoots, ‘hijuelos’, which grow in the soil around established plants from its rhizomes (ground roots), Don Julio are careful to ensure as much of the root system of the baby plant as possible is retained so when planted it can immediately start drawing nutriments from the soil. Unlike most other producers, Don Julio believe that fields should be planted allowing each plant room to develop at 1.5 meters apart. This not only prevents root systems from crossing each other until the plants are mature, but also allows maximum levels of sunlight and so photosynthesis. It is common practice amongst some producers to cut the agave leaves at 3, 4 and 5 years to stress the plant so forcing early maturation. The root systems have to work harder and the piña draws in water looking for nutriments and swells. This practice allows the plants to be harvested some two years earlier than if left to mature naturally, as is the practice at Don Julio where there is absolutely no pruning of the agave. Whilst some producers harvest an entire field when it reaches a specific age, Don Julio only harvest individual plants as they are judged to have reached perfect maturity, regardless of how young or old they are. The company leases some 90% of its land with 30 year term leases thus allowing two complete growing cycles of 8-15 years per field. When harvesting the agave the jimadors shave off the leaves close to the piña as Don Julio believe the green stems add a bitter flavour. Once harvested the piñas are cut in half or thirds and roasted for 24 hours in traditional brick ovens and then left in the ovens to cool for a further 48 hours to allow greater complexity of flavour to develop. This long 72 hour cooking period compares to the mere 6-8 hours employed by some other producers who use pressurised auto claves. At Don Julio the ovens have top vents allowing the steam, which is introduced at the base, to escape so that pressure does not build within the oven. Don Julio operates 18 such brick ovens, each with a capacity of 20 tonnes. As the piñas roast in the ovens their juices fall to the floor to be collected in a runoff trough. These juices are initially bitter and it is common practice for producers to discard the first 3 hours of this runoff. In contrast, Don Julio set aside the first 8 hours of this by-product before starting to collect the sweet ‘aguamiel’, literally ‘honey water’. The cooked piñas then pass through a set of five shredding machines to release their sweet juices. Water is sprayed over the piñas as they are shredded to wash the aguamiel (honey water) from the spent husks which are collected for recycling. The aguamiel collected from the roasting run-off and the juice produced by shredding the piña are blended together to make a musto which has a relatively low brix (sugar content) of 4% for fermentation. 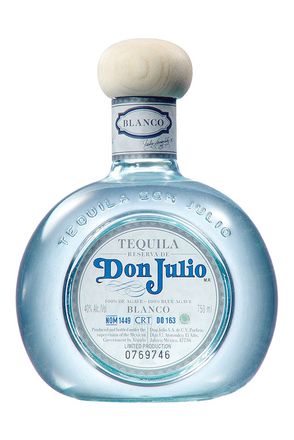 The yeast used during the fermentation process is an isolated wild yeast strain specifically cultured for Don Julio and kept in a laboratory in Mexico City. Each year a sample is sent to the distillery where it is cultivated on-site for fresh use each week. Fermentation takes place in small closed stainless steel tanks where inoculation is employed to eliminate the presence of any wild yeasts and ensure constancy between batches. 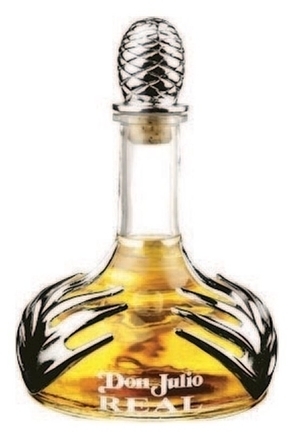 The fermented liquid is distilled twice, with only the heart of each distillation taken (about 65-70% of the total run). The final spirit comes off the stills at a relatively low strength of around 58% abv to maximise its flavour. The stills used at Don Julio are steam coil heated stainless steel pot stills and of these 15 stills, numbers 1-3 are only used for the first distillation and one smaller still, number 6, is reserved specifically for the second distillation of ‘1942’ and ‘Real’. 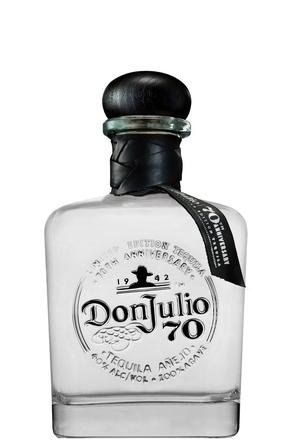 Another innovation credited to Don Julio is the production of fertiliser to spread over the fields from the waste products of tequila production. This is made by blending the first 8 hours of runoff from roasting, the heads and tails from distillation (aka bitter water) and spent agave husks. The husks are very fibrous and course so on their own take a long time to biodegrade. This fibrous material is softened by the bitter water which in turn has its high ph lowered by the waxy runoff from roasting. 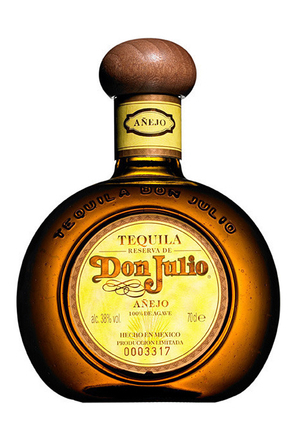 The Don Julio variants that are aged (all but blanco) are matured in American white oak casks previously used to age whiskey. 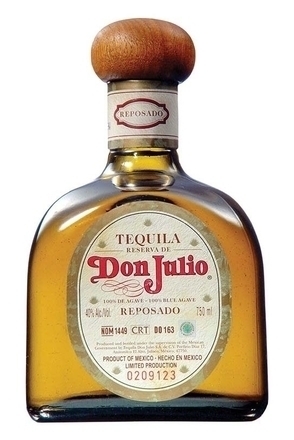 The exception to this is Don Julio Real which also includes tequila aged in casks previously used to age Canadian Crown Royal whisky in its blend. Unusually for the tequila industry, Don Julio employ a humidification system with fine water spays used to raise the humidity and lower the temperature in their warehouses. The good folk at Don Julio assure us that no sugar is added to any of their products, only a little caramel to aid with colour consistency between batches of aged product.